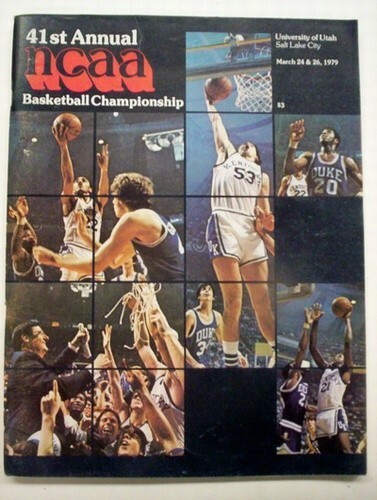 1979 NCAA Basketball Championship Program. Michigan St. defeats Indiana St. Magic Johnson & Larry Bird. ISU was 33-0 before the loss.